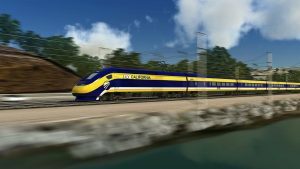 High-speed rail boondoggles aren’t just for California anymore. A proposal to build a high-speed maglev train between Baltimore, Maryland, and Washington, D.C., took a step toward enaction this week with the announcement of three potential routes for the rail line, UrbanTurf reports. The Federal Railroad Administration, the Maryland Department of Transportation, and other agencies involved in the project are planning a series of public meetings to gather citizens’ input on the project. Here’s my input: I can’t believe this is something that’s seriously under consideration. For now, there is no official estimate of how much the train will cost, but the website for the Baltimore-Washington Superconducting Maglev Project includes a projected cost of between $10 billion and $15 billion. Even if you give them the benefit of the doubt about the final price tag—something you probably shouldn’t do, given how much other high-speed rail projects have ended up costing—that still raises some serious questions about the fiscal sanity of building this thing. It Is NOT that far between the two cities and it would spend more time and fuel getting up to speed and slowing down to stop then anything else. Also I DOUBT that the number of passengers would be enough to pay the costs and justify the service. Fire the idiots planning this stupidity ! Stop the out of control deficit SPENDING! Until we get control of and pay down the national debt, Stop spending our tax dollars like they are yours to blow. We need relief from the amount of our money you spend paying the interest on what you have already borrowed in our names. We have had enough of this because the fate of our financial system lies in the balance, WE ARE DEAD BROKE! Enact pay as you go or we as voters will show you the door with a swift kick. Why does the goverment think they have to be in on everything. Health care, postal, just to name some of the bigger mistakes. For every dollars we tax you, the gov is going to spend several more for something everyone doesn’t need. Theres one in florida, miami to disney, (well sandford) that no one wants. There’s already a low speed one no one takes. The high speed one goes thru every beach town, without stopping. Just enough to tie up traffic, both car and boat.